The pages are still blank, but there is a miraculous feeling of the words being there, written in invisible ink, clamoring to become visible. Another way to approach the thing is to consider it unnameable. 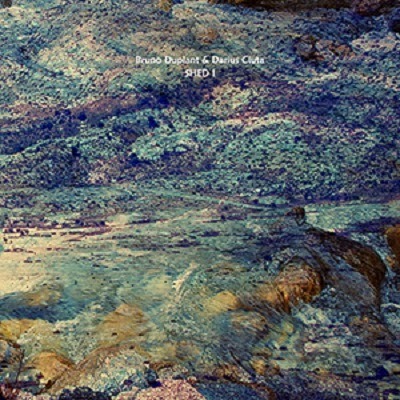 Architect and sound-maker Darius Ciuta has joined with Bruno Duplant on three duo releases to date; the two documents offered here, released closely together earlier this year, clarify how simpatico the pair are, how effortlessly they work with near-invisible materials in dark, dark waters. Ciuta resides in Kaunas, Lithuania, employed as an architect. Like Lance Austin Olsen, who came to experimental music from many years as a painter, Ciuta followed a similar trajectory, his sound experiments beginning in the 90s cassette culture under the noise nom, Naj. 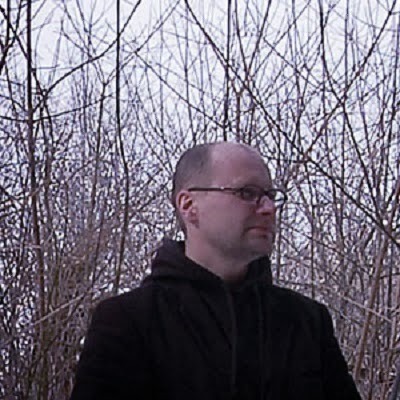 Olsen came to mind for another reason – the two share a practice of meticulously reducing their sounds by a self-limiting means of sound production, and a sensibility that privileges minute particulars over overt shapes and forms. 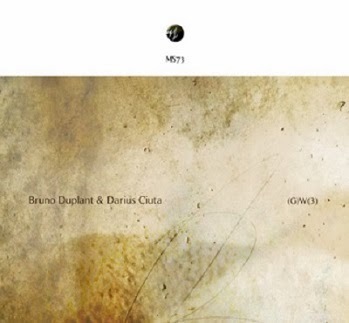 Even the titles of Ciuta and Duplant’s releases are acronymic and runic, yielding no textual clues about the music. Duplant, by my last count, has appeared on about 30 releases since I became aware of him in 2009. Prolific, to be sure, but also as recondite, where personal/biographical information is concerned, as can be imagined in these exhaustively linked-in times. I have amassed much of that improbable output, and think Duplant’s best work can be found in the projects that connect him to playing partners of like-minded temperament and aesthetic biases. As I said, that is the great strength of these two releases, as distinct and divergent as they are, at times: within the context of a rather severe micro-sound continuum, (G) W (3) is, measured against Shed I, luxuriant, aqueous, and occasionally serene. Shed I, even with location recordings that include the by now de rigueur barking dogs/sloshing water sorts of narrative signposts, is a work of impressive, insistent severity and reduction. Close listening, and time, bring the overall shape into focus, invisible edges and patterns emerging, and one is struck with how the duo’s melded sensibilities barely hint at discrete parts. In a fashion, the work and its authors are unnameable. 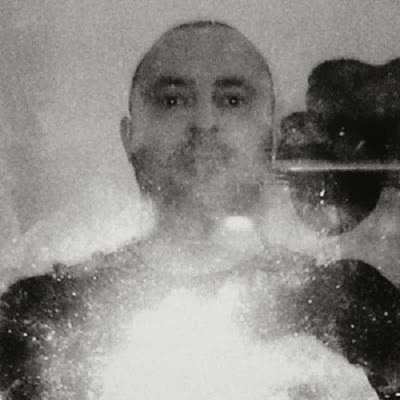 This entry was posted in music writing on June 27, 2014 by jessewgoin.